Understanding the caregiver’s view of their child is central to working with very young children. This chapter will describe the tools used to explore the caregiver’s internal working model, their perceptions of the child, and the child’s world. 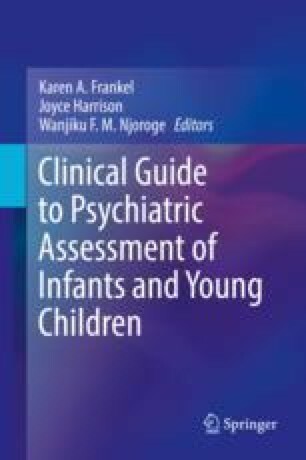 It will also examine how a caregiver may place unconscious projections onto their child, which are influenced by cultural values, the caregiver’s own history of being parented, caregiver traumas, and the caregiver’s ghosts and angels in their nursery. Interviews like the Working Model of the Child Interview, the Adult Attachment Interview, the Angels in the Nursery Interview and the Circle of Security Interview (COSI) which help the clinician understand these complex factors that influence a caregiver’s perception of their child will be discussed.